Now is the time to prepare your dealership – and your VDPs – for the all-online car purchasing experience. The growth in online shopping shows no signs of slowing down. Consumers are comfortable buying nearly everything online – and cars are no exception. The point when the entire car buying process – from initial browsing to final transaction – takes place online may be here sooner than you expect. Online car purchasing is coming, because more and more customers want it that way. Which means it’s time to prepare your dealership. Shoppers in the UK have already embraced what’s been referred to as the “Amazonification” of car buying. A recent study from Buyacar.co.uk showed more than 25% of British respondents were not hesitant about buying a car without seeing it first. While the US may not be there yet, we’re not too far behind. According to Automotive News, industry leaders believe shoppers will be able to complete the entire transaction online within a year or two. Additionally, Cox Automotive COO Mark O’Neil predicts nearly 10 percent of vehicle transactions may take place online by 2019. Clearly, all-digital automotive retailing is coming. And, while the change may have some in the industry feeling uneasy, moving the process online offers plenty of potential benefits – especially when you consider that tomorrow’s car buyers are “digital natives” who have never known a world without being able to buy anything they want with a few clicks. Now is the time to prepare for the transition. 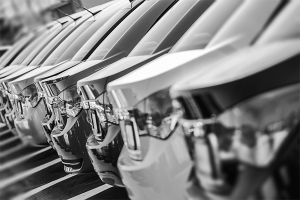 This article from Dealer.com offers some smart steps you can take to ensure your dealership is ready to take advantage of this revolution. 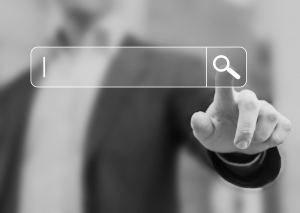 The impending shift means your website will become your most important sales tool. As our own Jennifer Paine discussed in a previous video post, as shopping – and purchasing – shifts more completely online, your SDPs will become the modern version of a “drive by,” and your VDPs will become your new showroom. Implementing VIN specific digital strategies that move people from third-party sites directly to your website’s VDPs will be vital to surviving – and thriving – in a world where more and more of the car-selling process takes place entirely on a screen.